As an amateur paddle boarder, Cal had an idea what to expect, but was not prepared for the overhead swell, gale force headwinds, fog, crazy tidal races and angry seals that made the voyage such a challenge. The expedition took three weeks in total to paddle from Plymouth to Croyde, camping along the way and collecting an inordinate number of plastic bottles from the ocean and beaches along the way to highlight the damage they’re causing. The message behind the paddle was that in the UK we use 38.5 million single use plastic bottles every single day. Less than half of them are recycled, and Cal was finding a huge number washing up into hidden coves and floating in the ocean around Cornwall, well recognised as one of the most beautiful coastlines in the UK. Cal hoped to confer that, with access to clean, safe and cheap drinking water in the UK from our taps, there is no need to keep buying so many plastic water bottles. Cal hoped to empower people to make an individual positive but tangible change, by switching to a reusable water bottle and refusing single use plastic water bottles. Cal called upon people to support Surfers Against Sewage’s Deposit return scheme, calling for an incentive for people to recycle plastic bottles, which has achieved recycling rates of almost 100% in several countries where it is already in place. 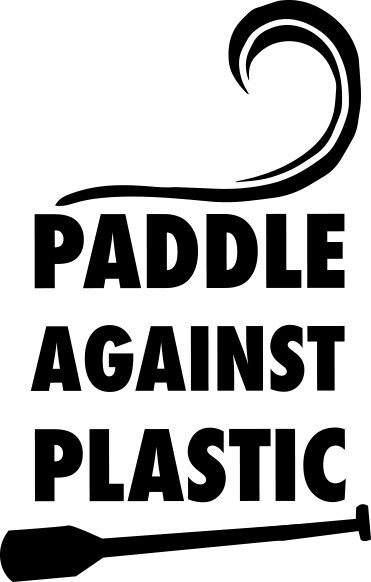 With the generosity of some very kind supporters, Paddle Against Plastic 2016 raised over £1000 for Surfers Against Sewage to continue their invaluable work protecting our coastlines from the threat of single use plastic.